The first time we tried BonChon Chicken was January of this year, and that was at Ayala Triangle Park located on Ayala Avenue, Makati City. We liked their chicken so much that we promised to be back soon. 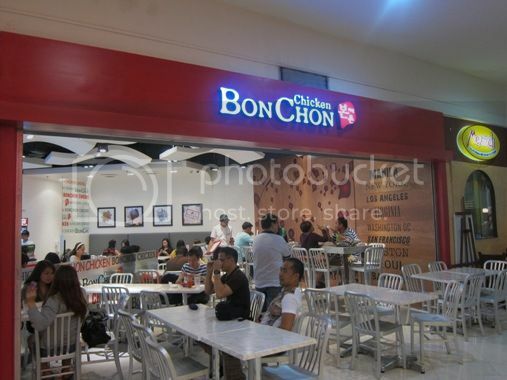 Now we don’t need to go far to satisfy our cravings for BonChon chicken because they recently opened their latest branch at Robinsons Galleria. Here’s a little trivia: BonChon chicken is healthier than traditional fried chicken because it’s fried twice. This Korean frying technique pulls out the fat in the skin, which results in leaner fried chicken. This style of frying is also what makes this fried chicken really crunchy. 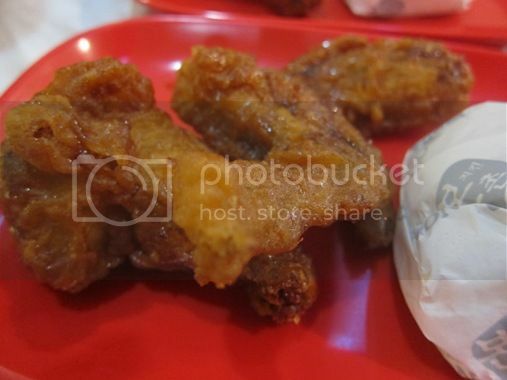 We went to BonChon Chicken two Saturdays ago and ordered Chicken Drumsticks Rice Box (2 pcs.) for hubby, Chicken Drumsticks Rice Box (1 pc.) for Justin’s yaya and Chicken Wings Rice Box for me. Don’t worry about the little boy; he was busy nibbling on his favorite Twistix potato. The hot and spicy was too hot for me, but hubby loved it! 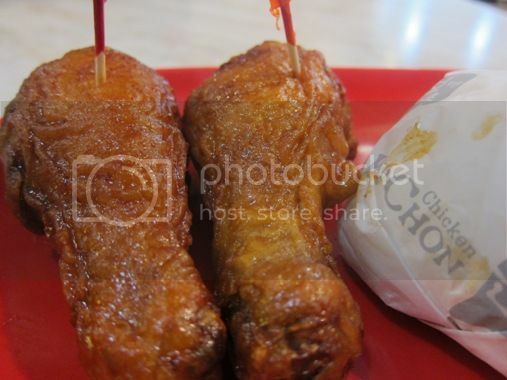 What we liked about BonChon chicken is that they’re crispy, juicy, and tasty! We will definitely come back for more! This entry was posted in Food Trip Friday, Fried Chicken, Korean Cuisine, Restaurant Review, Robinsons Galleria. Bookmark the permalink. I hope you can add mine too. i bet those chicken are crispy too. Hindi ba parang baliktad yata,dapat mas fatty if it was fried twice.But I will so try this when we go home this year! wow, will try that pag nakaluwas hehehe! thanks for sharing! btw, followed and liked you already, i hope you can do the same? thanks much! thanks for the many infos and reviews of different restaurants. the next time we dine out, we know where to go to. definitely, will try this one! I can taste the crispiness of chicken here..
It’s open! We don’t hafta go all the way to megamall anymore. Yippeee! fried twice–that’s interesting. will check it out the next time i’m in Galleria. wow! fav ng anak ko..haha…Anyway, was here for FTF. happy FTF and a great weekend! yummmy! looks juicy…sarap naman at mura pa…:) kakagutom tuloy! The chicken looks so crispy and tasty! I got hungry!!! Waaaaaaaaaaaaah! Lol.